Once upon a time there was only one Danieli in Richmond; Gelateria Danieli selling ice cream in Brewers Lane. 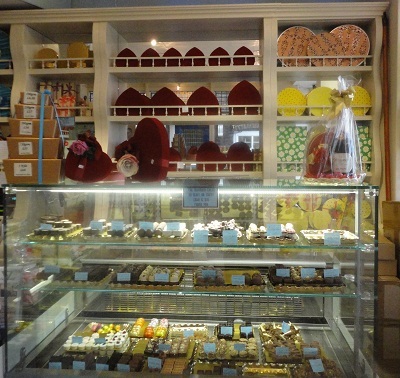 Since last year they have expanded their outlets by adding chocolates to the temptations on offer. 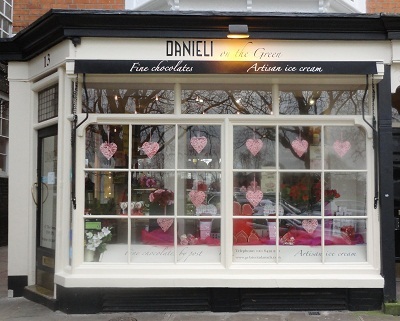 In May they moved into the corner shop facing Richmond Green that was formerly the House of Chocolate, and is now known as Danieli on the Green. Long-time patrons of the original shop need have no worries as the former owners still supply the chocolates. Joanna, who served me, gave me a potted history of the shop which has been selling chocolates for about 24 years. I promise you that the aroma of chocolates will hit your nostrils as you walk through the door, and will lure you over to the counters. 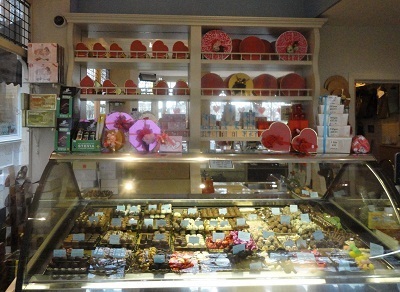 Two ranges of chocolates are stocked: the original variety and a second selection manufactured in Belgium. During the winter months both ranges are sold, and throughout the summer months, Danieli ice cream occupies the large refrigerated display that faces the front door. When the weather is fine this shop then serves as an overflow when the smaller one round the corner is too busy to accommodate the customers. The original chocolates cost £5.50 per 100g and the Belgian ones cost £6.80 per 100g. You can make up your own selections, which are then packaged either in standard boxes, or in speciality gift containers. With Mothers' Day approaching, you can select your own mum's favourites and personalise them in an attractive circular box decorated with flowers, or perhaps have them displayed in a heart shaped casket. 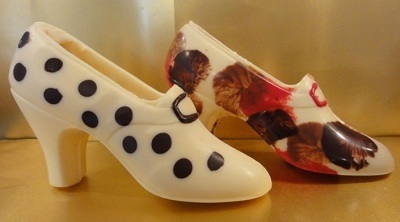 Danieli on the Green also sell a range of traditional loose sweets as well as a selection of novelty chocolate shoes, for those of us who can't choose between shoes and chocolates. Just follow your nose: you can't miss the seductive aroma of chocolate.